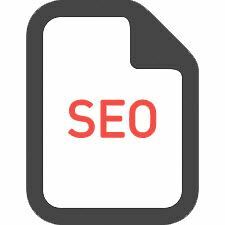 This is the on-page SEO section of Raptor’s knowledge base, contained in this section are comprehensive guides to every component of a website that can be optimised or has an effect on SEO. This section contains 10 sections each being a top level grouping of on-page SEO components and factors, click a link in the menu to dive into one of these topics to see our guides. 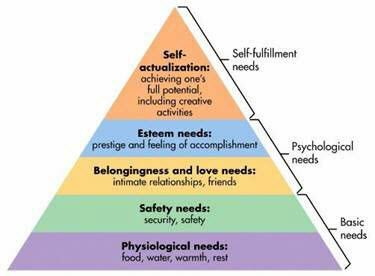 The lower levels of the pyramid deal with basic needs, such as food and water, having a safe home, etc… These levels do not create happiness but are essential for it, acting as the foundation. In SEO, the technical components are akin to this, having a technically sound site will not lead to rankings directly, but without them rankings cannot be achieved. A good example of this would be having incorrectly implemented canonical tags, this type of problem could prevent your whole site from being indexed, such that it cannot rank… Removing the issue would mean that the site can / has the potential to rank, but does not mean the site will now rank well. There are many technical problems that can render a site inaccessible it users and search engines alike, prevent it from ranking and being indexed. As such it is always worth technical SEO components regularly. Some of the most damaging and common problems are easy to do, and easy to fix, but only if you know about them! Keyword optimisation deals with how well optimised your site is for its target keywords, if we are limiting the conversation to just on-page components, we can ignore, for now, keyword research… In its strictest usage keyword optimisation audits look at what keywords are used, where, and how they are used throughout your site. These components when optimised have the power to significantly impact a site’s rankings for those target keywords. As such this type of activity would sit higher on Maslow’s pyramid of needs. If we look at the page title, one of the more powerful SEO components, we need to know that they are correctly and consistently implemented on a site; and we need to have identified the keyword that we want to target on the site before we can then go and optimise them or make meaningful recommendations. Sign Up for Beta Today! Raptor provides a range of on-page SEO tools that can both perform technical audits and helping to optimise your site for target keywords, as well identifying those keywords for you. Sign up today and get Beta access to Raptor in late 2017, plus get 2 months’ free full usage when we launch in early 2018.